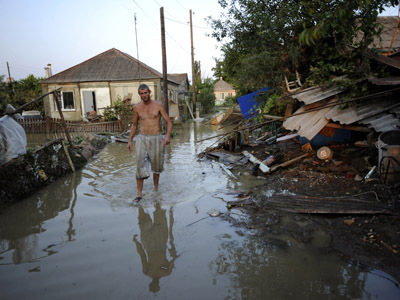 Top officials from the flood-ravaged Russian city Krymsk have been detained as investigators search for evidence of criminal negligence following the devastating flood that left some 170 people dead and hundreds more injured and homeless. Vladimir Markin, spokesman for the Investigative Committee, recited a short list of big names that have been detained. "The head of Krymsk district Vasili Krutko, the Mayor of Krymsk Vladimir Ulanovsky, and the acting head of the Department for the Prevention of Emergencies and Civil Defense of the Krymsk district Viktor Zhdanov have all been detained in relation to the criminal investigation," Markin told Interfax. The investigation intends to file a motion for their arrest to the courts, the spokesman added. 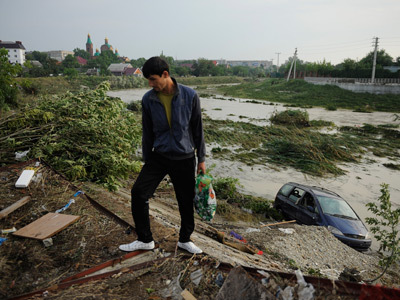 "The negligence of the said officials had grave consequences in the form of the death of 153 people living and visiting the town of Krymsk, in the region of Krasnodar," he said. 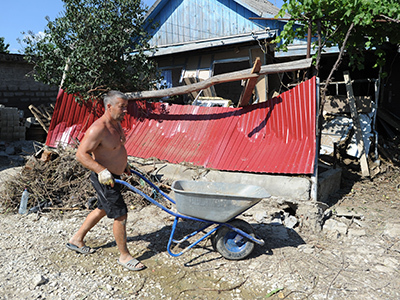 The destructive flood waters, triggered by heavy rainfall on July 6-7, took the greatest toll on the Krasnodar towns of Gelendzhik, Novorosiisk and Krymsk. 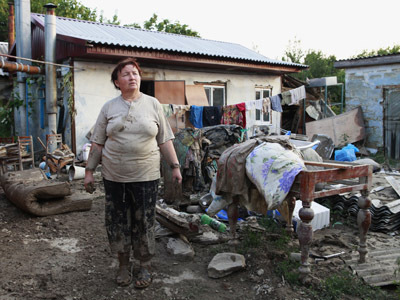 A total of 7,200 houses were destroyed, with over half of that number situated in Krymsk. To support their criminal case against the Krymsk officials, Markin added that investigators have ordered extensive forensic, video and meteorological studies to be conducted, while over 1,300 victims and witnesses have already been interviewed. Investigators have also seized documents “on 25 various occasions” serving as evidence in the case, he noted. "The investigation continues,” Markin stressed. “Investigators are determined to establish all the circumstances and causes of the disaster and to offer a legal evaluation of what actions officials took and did not take grave impact of the flood," Markin said.